During her time alongside, WAVE KNIGHT’s Commanding Officer and Officers will host a series of official functions culminating with an evening reception with the Governor, the Premier and local dignitaries in attendance. 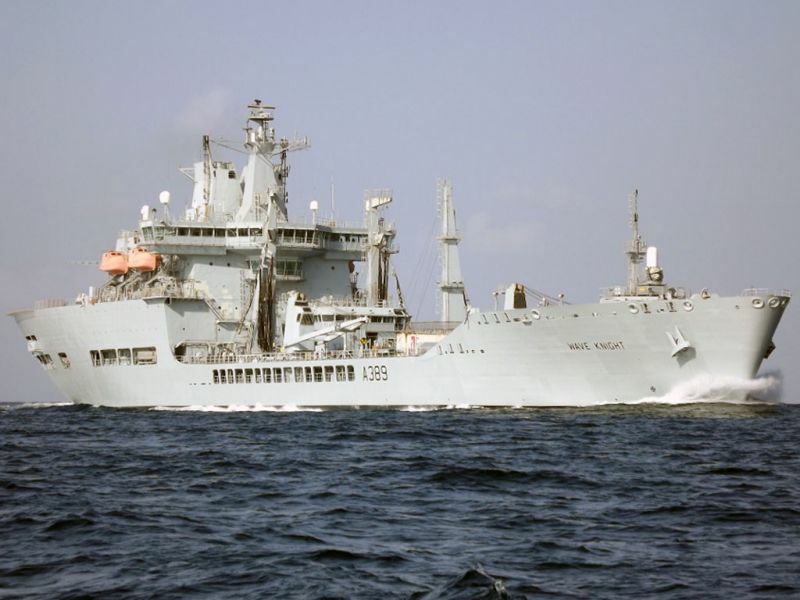 WAVE KNIGHT’s Humanitarian Aid and Disaster Relief (HADR) Command Team will be meeting with the Department of Disaster Management, touring the island’s disaster relief facilities and demonstrating the support capabilities that the Ship’s Company can deliver if required. WAVE KNIGHT has loaded HADR and UK Department for International Development (DfID) stores to support relief operations in the region. Prior to deployment, the Ship’s Company completed a HADR training package which tested and developed its ability to plan and deliver support to relief operations. Members of the Ship’s Company will also be assisting in the renovation of the Old Prison Grounds, as part of the redevelopment of the area as a museum. WAVE KNIGHT’s football team will be playing a friendly match against a local side on 7th March. 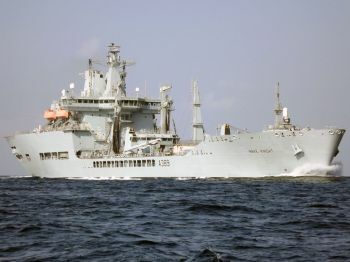 RFA WAVE KNIGHT is a 31,500 tonne Fleet Tanker which has the ability to refuel other naval vessels at sea from its three beam rigs and one stern rig as well as carrying dry stores. The ship has recently under gone a refit at Cammell Lairds in Birkenhead following on from her last deployment, which ended in March 2012. This saw her supporting the international naval effort east of Suez, providing not only fuel for Coalition ships and aircraft but also carrying out front-line and anti-piracy duties. “Our flexibility and capability is ably demonstrated by Wave Knight’s action packed programme: this time last year, operations East of Suez; and this year’s operations in the Caribbean, with a major refit en route. 2013 is proving to be no less busy and satisfying.” added Captain Ferris.